If you have a garden, most likely you use some kind of fertilizer. 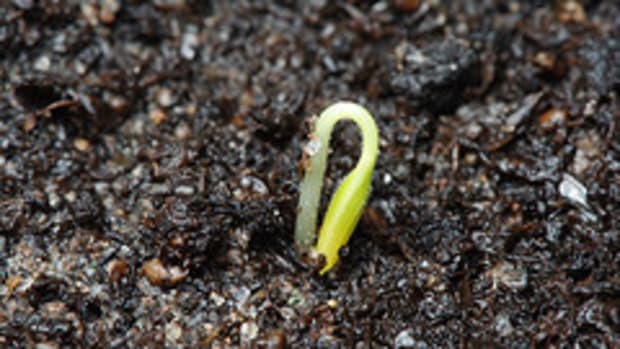 Plants are constantly extracting nutrients from the soil. Specific plants need different amounts of nutrients and minerals, as well as other &apos;amendments&apos; to be applied to keep your soil in balance. A proper replenishment system keeps your garden healthy and protects it from decline. As a home gardener, you have the choice of either using organic or synthetic fertilizers. Which should you choose? 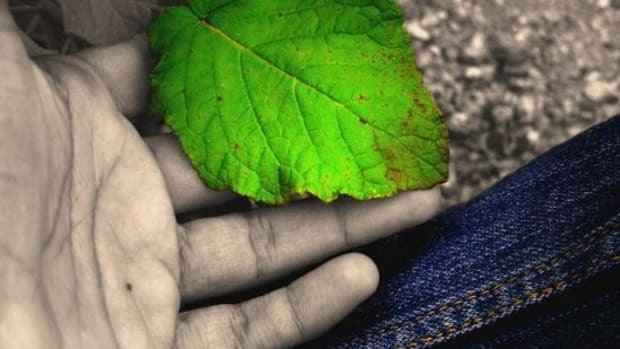 Although I&apos;m pro-organic, I&apos;m not going to lie: synthetic is by far the more popular choice. It&apos;s most gardeners&apos; top pick not only because of how readily available it is, but because most urban gardeners have grown up thinking synthetic fertilizer is the only way to keep plants alive and blooming. In fact, up until a few years ago, your local garden center only sold conventional fertilizer, usually as an all-purpose mix with all three major nutrients - N for nitrogen, P for phosphorus, and K for potassium. Natural fertilizers are newer to the scene, although they were actually the norm from the 1950&apos;s onwards in the form of dirt, compost and various manures and plant meals. Today, with the trend towards green products, more and more garden centers are beginning to stock organic fertilizers. However, gardeners not used to organic methods are usually dissatisfied with the results. Everybody knows natural fertilizer is better for the environment, but why? What exactly are the differences between natural vs. synthetic fertilizers? And why do synthetics appear to show better results? Synthetics are nutrients produced either through various chemical reactions or mined from rock deposits, and are manufactured and mixed together into a form of easily transportable, granular salts. Nitrogen (N, the first number on a fertilizer bag) is formed through ammonia and often converted into an easier to handle product such as nitric acid or ammonium nitrate. Phosphorus (P, the second number) is extracted from mined phosphate rock, and potassium (K, the third number) is derived from mined potash. Chemically, these nutrients are identical to nutrients derived from an organic source. The salts are water-soluble, meaning that with moisture the salt dissolves and the nutrients are available to plants immediately. This results in quick and strong growth, with rapid greening, bright blooms and large fruits and vegetables. Pollution and leaching - Because the salts are soluble and quick-release, they quickly leach from the soil into groundwater, where they end up in rivers and lakes. The problem isn&apos;t necessarily the fertilizer; it&apos;s the improper application. 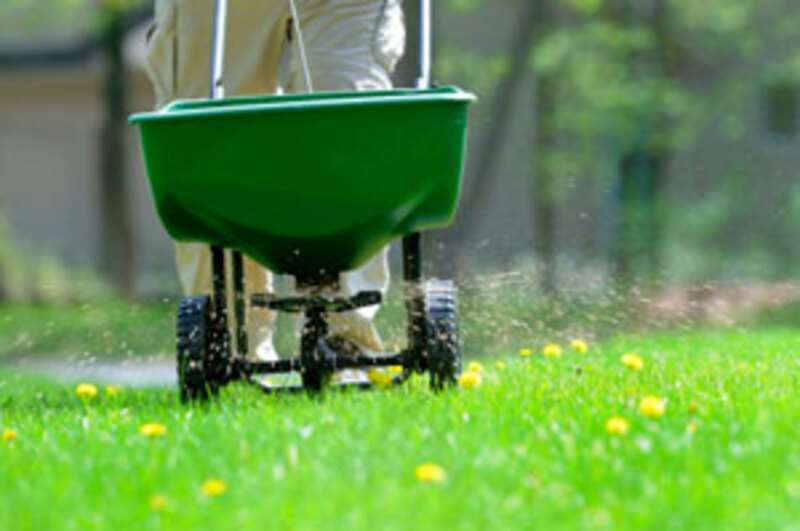 Many people unknowingly add too much fertilizer to their lawns and gardens, not realizing the damage they are causing. The extra nitrogen washing out of urban soils into the water cause algae blooms, which suffocate fish and other aquatic animals. Slow-release fertilizers are available in the form of pellets coated with a slower-dissolving material, but they are much more expensive. Synthetics do not "feed the soil" - That is, strictly adding synthetic fertilizer only adds plant nutrients. Soils need much more than nutrients to stay healthy in the long run. 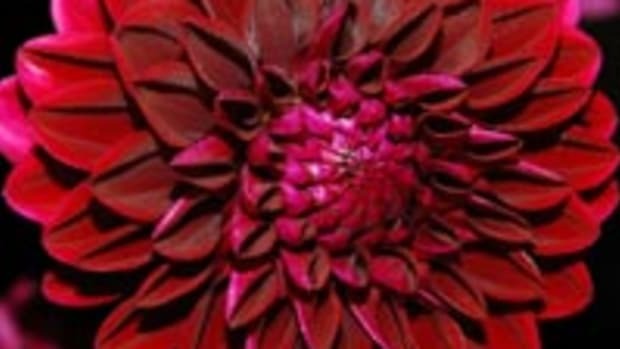 The result is a steady decline in the overall health of gardens. Weeds and pests become more prevalent, forcing the conventional gardener to treat with pesticides. This results in a steady download cycle of greater fertilizer and herbicide treatments. Your plants form a chemical dependency - Since nutrients are so readily available, your garden plants and lawn have no need to grow strong roots in their search for nutrients. With a stunted root system, they are less resistant to weeds and pests, forcing the constant use of pesticides. Many all-purpose fertilizers only consist of the 3 main nutrients - In reality, your plants need a variety of micronutrients along with the basic NPK nutrients. Calcium, boron, magnesium, copper, iron are examples of other trace nutrients. Though your plants need them in much smaller amounts, over time chemically-treated soils will become deficient in them. After reading about synthetics, it puts organic sources in a much better light. However, organic sources work quite differently from synthetics, and many people who switch without realizing the difference are often not satisfied with the initial results.This is because most natural fertilizers work best in rich, healthy soils. They are also slow release, meaning they do not immediately provide all of the nutrients to your plants. The nutrients are locked within organic material, which is released through the actions of soil microbes, beneficial fungi, worms and water. If you are planning to make the transition to organic gardening, you must first build up the health of the soil. This alone will replace almost all of your fertilizer and pesticide efforts, as your plants will grow healthy and strong, better able to repel weeds and resist pests. 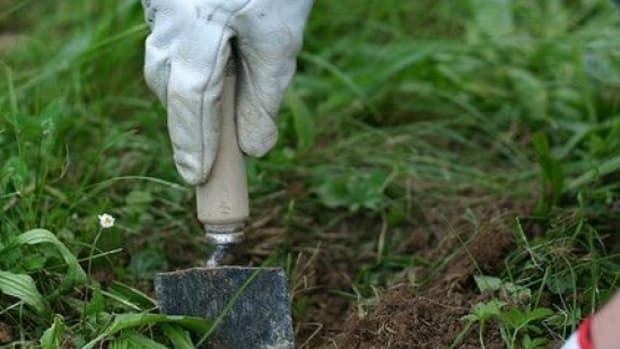 The best way to build up your soil is by applying compost, which can be bought commercially or created in your backyard through a compost bin or tumbler. 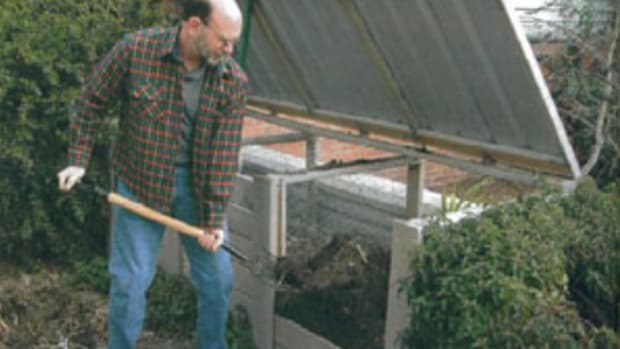 Compost is like the Swiss Army Knife of your garden. Not only does it supply a good percentage of nutrients and micronutrients to your plants, it also balances soil pH, builds up the structure of your soil to both better retain water and break up water-clogged clay, and retains more oxygen thanks to its fluffy nature. Finally, it&apos;s the primary food source for microbes and worms, allowing these populations to thrive underneath your garden. Compost is seen as a soil amendment, not a straight fertilizer. It supplies a lot of nutrients, but it all depends on the ingredients. For instance, if you eat a lot of bananas, the banana peels in your compost will result in higher levels of phosphorous and potash. Compost tea - A liquid solution formed through submerged compost, &apos;compost tea&apos; is a great general-purpose fertilizer with high concentrations of nutrients and beneficial microbes. Apply directly to the leaves of plants or the soil. Blood meal - High in nitrogen, derived from dried and powdered blood. Fish meal - Good source of nitrogen and often used as a general purpose fertilizer. Derived from the whole parts of fish. Guano - A great source of nitrogen, made of dried and aged bat or bird droppings. This was actually the primary fertilizer in the U.S. and Britain in the last half of the 19th century, until synthetics became available. Bone meal - A great source of phosphate, from finely ground bone. Rock phosphate - Finely ground rock. Gives a high level of phosphate and calcium, and one application gives up to ten year&apos;s worth of phosphate. Greensand - High in potash (source of potassium) and iron, and made from deposits of ancient seabed that forms the coast of the northeastern United States. Wood ash - Ash from wood fires, and source of potash and calcium. Applying it will also raise your soil pH. Kelp meal - Made from dried and ground seaweed, and contains a high source of micronutrients and potash. 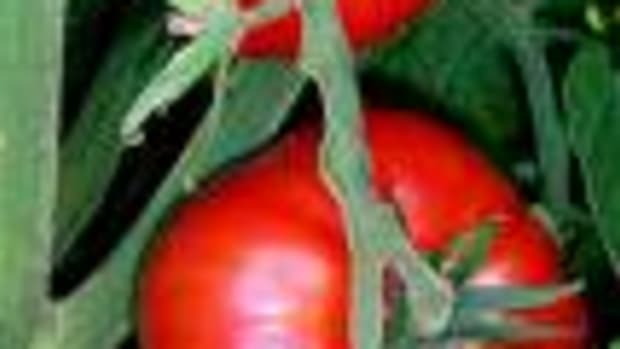 All-purpose organic fertilizers will likely have a combination of the above sources in their mix, and you can also make you own. One combination to try is 2 parts blood meal (N) to 3 parts bone meal (P) to 1 part kelp meal (K). Organic fertilizers are definitely the best for the long-term success of your garden, but there are some things to be aware of. Just like synthetics, don&apos;t overuse organic fertilizers. When buying commercial fertilizers, make sure the ingredients are pesticide-free. Mushroom-based compost and cottonseed meal could be sourced from farms where a high-level of pesticides are used. So, which should you use? 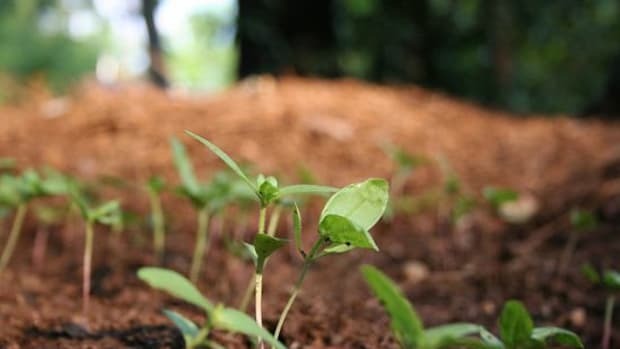 Organic fertilizers and compost - with this combination, you&apos;re actively contributing to the health of your soil, which in turn will strengthen your plants against disease, weeds and insects. Be aware that it&apos;s a long-term process involving your entire garden, both under and above ground. And remember, good things come to those who wait! 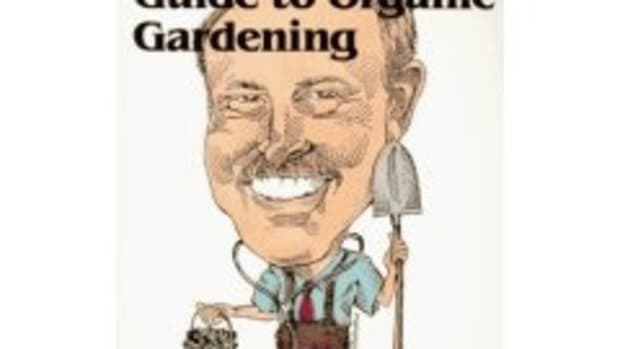 Chris Molnar is the editor of Go organic gardening, a website with resources, tips, guides and a bi-monthly gardening newsletter.